In 2014, Willoughby reported more than 500 cases of theft and nearly 60 cases of burglary. 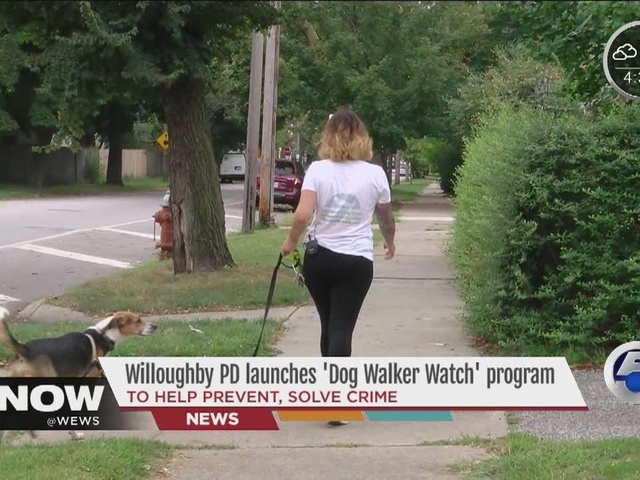 The Willoughby Police Department wants to lower crime statistics in the future with the creation of the "Dog Walker Watch" program. The program was created to have community members serve as an 'extra set of eyes and ears' for local police. Those who sign up for the program will receive specialized training from police. "Whether we want to believe it or not, when we're driving or walking around we're really not paying attention. So, we want to actually train people to pay attention," Ptl. Bruce Fedor said. Fedor said the program wasn't created to have residents intervene or stop crime, but rather to alert police to suspicious areas. 'We'd rather get a call and go there and find out it was nothing than get a call days later and find out that a house was burglarized," Fedor said. Those interested in the program can call Fedor at (440) 953-4227 or click here .